TAIPEI (Reuters) - A dive in quarterly profit at Taiwan's Foxconn to below analyst estimates saw shares of the Apple Inc supplier fall 3 percent on Tuesday, even after a pledge to boost shareholder returns with a $1.2 billion capital reduction. The world's largest contract electronics maker reported late on Monday a 14.5 percent decline in first-quarter net profit to T$24.08 billion ($806 million), missing the T$28.71 billion average of nine analyst estimates compiled by Thomson Reuters. They said higher spending on marketing for new customers as well as research-and-development in networking, cloud computing, television and smartphones likely squeezed its operating profit margin to 2.4 percent, below Nomura's 3.0 percent forecast. In March, a Foxconn unit said it would buy U.S. consumer electronics maker Belkin International Inc for $866 million. Another unit, which makes industrial robots and equipment for cloud computing, plans to list in Shanghai to raise capital for fifth-generation (5G) network-related projects. 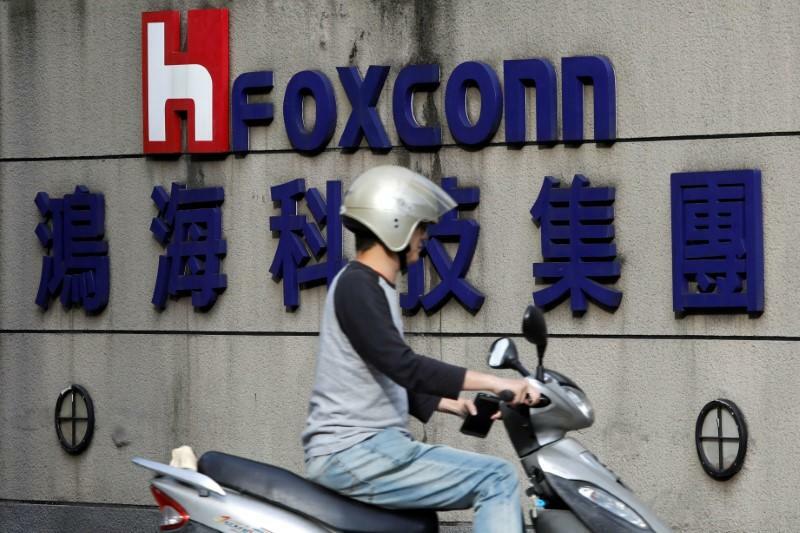 Foxconn shares have underperformed this year - falling around 10 percent versus the broader market's 2.8 percent gain - partly due to investors questioning its reliance on Apple and the prospect of slowing smartphone sales growth. The stock fell as much as 3.4 percent on Tuesday, reversing gains of as much as 6.4 percent on Monday. That rise was buoyed by a plan announced late on Friday to cut equity capital by 20 percent, or T$34.7 billion, to boost shareholder returns. Foxconn also said it would sell up to T$27 billion in bonds to refinance debt and replenish working capital. Fellow Apple supplier Japan Display Inc reported a record annual net loss of $2.25 billion on Tuesday, as its U.S. client shifted to rival panel maker Samsung Electronics Co Ltd for iPhone X screens.